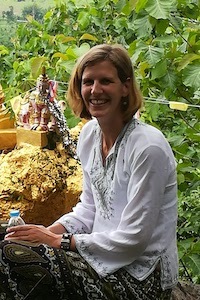 Marieke is a research clinician studying infectious diseases in pregnant women in order to improve maternal health and prevent vertical transmission of infections. She is specialized in internal medicine and infectious diseases and has previously worked in Tanzania before coming to SMRU in June 2017. She has a masters degree in Epidemiology and previously conducted research with the Centers for Disease Control and Prevention (CDC).